Since they were children running barefoot about Toulouse Plantation, Josie and Cleo have been as close as sisters, forging an unbreakable bond that defies their roles as mistress and slave. Together, the two have shared secrets and protected each other through happiness and heartbreak. They never dream they could also share an intense passion for the same man, the elegant, charming, and irresistibly seductive Bertrand Chamard. His love will change their friendship forever and set in motion a series of events from which there can be no turning back. 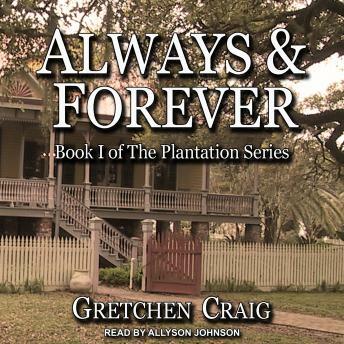 Set among the bayous of Old Louisiana and the grand avenues of New Orleans, Always & Forever is the stirring saga of a Creole family and of two women, bound by blood and friendship, who are tested by prejudice, betrayal, and the tragedies of slavery.